Looking for deals in Zaragoza? Located 20 minutes’ walk from Zaragoza’s Old Town, Ibis Budget Zaragoza offers air-conditioned rooms with free WiFi. Nuestra Señora del Pilar Cathedral is a 25-minute walk from the hotel. I liked how easy it was to find and check-in. Yes, the rooms are smaller but for our purposes it was perfect. The rooms were also clean and modern. The parking was beneath the hotel with a direct elevator up to the hotel rooms (rare in Spain). Located next to Grancasa Shopping Center near Zaragoza’s World Trade Center, this modern hotel is a 20-minute walk from the Expo Zaragoza Site. Rooms include satellite TV and free Wi-Fi. Excellent Staff, Very Clean and comfortable. Secure parking garage. Exe Plaza Delicias is located opposite the Zaragoza-Delicias AVE high-speed train station, 1.9 mi from the city’s historic center. Free WiFi is available throughout the hotel. Perfect location near the train station. Friendly staff, clean and comfy rooms. Hotel Reino de Aragón is in Zaragoza’s historic quarter, 330 ft from Plaza de España. It offers free Wi-Fi, spacious rooms with air conditioning and TV, and private parking. The staff upgrded my room to junior suite when a double bed room was not available. Hesperia Zaragoza Centro is located in the historic center of Zaragoza, 5 minutes' walk from the Basilica del Pilar. This is a great hotel. This hotel had everything that I wamted. Hotel Inca is less than 330 ft from Plaza del Pilar, in the historic heart of Zaragoza. Each spacious room includes climate control, a minibar and a safe. Perfect location, great price. Included wifi, air conditioning, and all the other necessities. 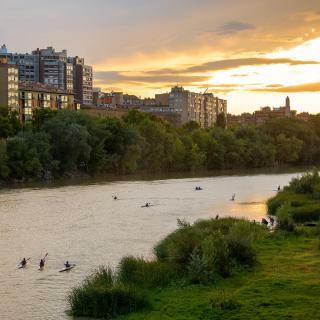 Fantastically located in the historic center of Zaragoza by its famous river, Hotel Don Jaime 54 allows you to visit most of Zaragoza on foot. It features an on-site restaurant. Friendly welcome by staff, clean and comfortable rooms. Ilunion Romareda is located next to Real Zaragoza’s football stadium and the Conference Center. It offers free WiFi, a modern TV lounge, and free internet access points in the reception area. Friendliness of staff, help, availability. The modern B&B Hotel Zaragoza Los Enlaces Estación is strategically located just off the A-2 motorway which links with Madrid and Barcelona, and can also be accessed by the N-II. Very good hotel. Clean and comfortable. Staff are great and willing to help. Set in an 18th-century building, Hotel Paris Centro offers accommodations with free WiFi and a terrace with city views in Zaragoza, 3 minutes' walk from Zaragoza Cathedral and El Pilar Church. The room was clean and comfortable with a desk as well as a kettle and complimentary tea bags. NH Collection Gran Hotel de Zaragoza is a historic building with an impressive domed foyer and chandelier. Chaise longue relaxing. Quiet room. Nespresso machine & kettle welcome. 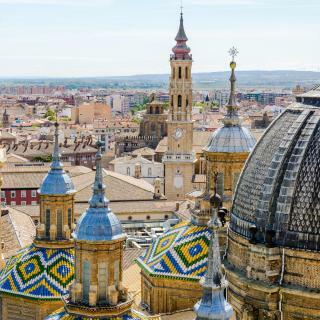 Set in Zaragoza’s historic center, NH Ciudad Zaragoza is 984 feet from the Basilica of Our Lady of the Pillar. It offers modern rooms, most with Basilica or River Ebro views. Everything. I enjoyed my staying there. Located just a 5-minute walk from Zaragoza’s Old Town, the Hotel Palafox includes a seasonal rooftop pool with great city views. Extremely comfortable beds. Well appointed rooms. Friendly, efficient Staff. Set in a listed 19th-century building in central Zaragoza's Old Town, Hotel Pilar Plaza offers views El Pilar Bascilica, located next to the hotel. Free WiFi is offered throughout the property. I recommend this hotel 100%. The staff is super nice and always available. Hotel Oriente is located just 5 minutes’ walk from Zaragoza’s El Pilar Basilica and La Seo Cathedral. It offers spacious, bright rooms with free Wi-Fi and an LCD TV. Helpful, kind staff and wonderful location. Hotel Avenida is located in the center of Zaragoza, 3 minutes' walk from the Basilica del Pilar. It features free Wi-Fi access and air-conditioned rooms with flat-screen TVs. Muy buena relación calidad precio en desayuno. 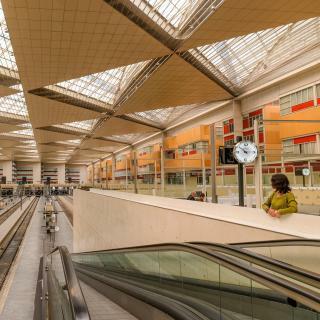 What are the best hotels in Zaragoza near Zaragoza Airport? 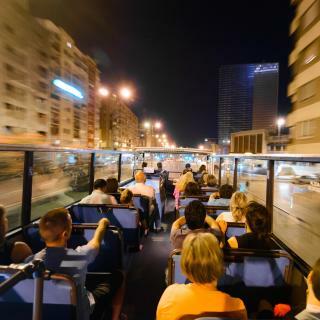 Travelers who stayed in Zaragoza near Zaragoza Airport (ZAZ) have said good things about Hotel Diagonal Plaza, Eurostars Rey Fernando, and Hotel El Cisne. Which hotels in Zaragoza offer an especially good breakfast? For hotels in Zaragoza that serve highly-rated breakfasts, try Tryp Zaragoza Hotel, Hotel Sauce, and Catalonia El Pilar. How much is a hotel in Zaragoza for this weekend? The average price per night for a 3-star hotel in Zaragoza this weekend is $136 or, for a 4-star hotel, $156. Looking for something even fancier? 5-star hotels in Zaragoza for this weekend cost around $220 per night, on average (based on Booking.com prices). 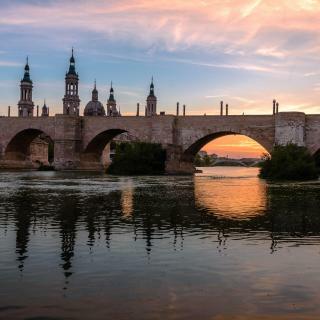 Which hotels in Zaragoza are good for couples? These hotels in Zaragoza are highly rated by couples: Catalonia El Pilar, Hotel Sauce, and NH Collection Gran Hotel de Zaragoza. Which hotels in Zaragoza are good for families? Many families visiting Zaragoza loved staying at NH Ciudad de Zaragoza, Hotel Avenida, and Hotel Inca. How much is a hotel in Zaragoza for tonight? On average, it costs $60 per night to book a 3-star hotel in Zaragoza for tonight. You'll pay around $83 if you choose to stay in a 4-star hotel tonight, while a 5-star hotel in Zaragoza will cost around $129, on average (based on Booking.com prices). 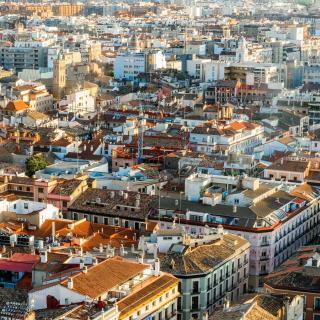 Which neighborhood is the best one to stay at in Zaragoza? Romareda, Arrabal, and Centro are popular with other travelers visiting Zaragoza. Which hotels are the best ones to stay at in Zaragoza? Hotel Sauce, Catalonia El Pilar, and NH Collection Gran Hotel de Zaragoza are some of the popular hotels in Zaragoza. How much does it cost to stay in a hotel in Zaragoza? On average, 3-star hotels in Zaragoza cost $59 per night, and 4-star hotels in Zaragoza are $85 per night. If you're looking for something really special, a 5-star hotel in Zaragoza can be found for $127 per night, on average (based on Booking.com prices). What are the best hotels in Zaragoza near Cathedral-Basilica of Our Lady of the Pillar? Some of the best hotels in Zaragoza near Cathedral-Basilica of Our Lady of the Pillar include 18 Torres, Lucero Dos Catedrales and 18 Torres El Pilar. Which hotels in Zaragoza have nice views? Hotel Hiberus, NH Ciudad de Zaragoza, and Hotel Pilar Plaza got great room view-related reviews from travelers in Zaragoza. City is experimenting a change. City is experimenting a change. Nightlife has diminished where tourism has increased. The recession is still felt in many parts of town. I like this city a lot, but it was more interesting when the nightlife was more predominant. Estuvimos para una despedida de solteras y nos gusto muchísimo. la gente muy abierta y en el casco viejo muchísimo ambiente. Esta vez no hicimos casi nada de turismo pero se que me gustaría volver y visitar la ciudad porque tiene mucho que ofrecer. Great small to midsize city. It is of course no Barcelona or Madrid, but we really liked visiting Zaragoza. It’s a relatively big city, with fairly few tourists. 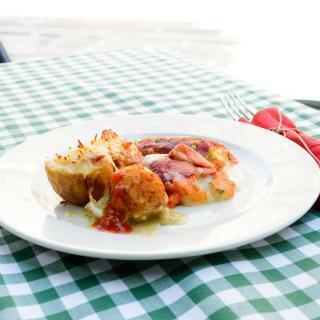 It’s really nice to get a whiff of everyday Spanish life (which is almost impossible to do in for example Barcelona), try the local cuisine in small tapas bars, etc. That said, there are quite a few interesting sights in Zaragoza too. We were especially impressed by the Aljaferia palace - which is a must see. It’s free on Sundays, but the lines reflect that. The rest of the week you can enter for 5 euros (4 if you have a bus turistico ticket), and the lines are reasonable. Mind the opening times up front, because it closes for ‘siesta’, and some days the local government uses the building for meetings, which means it’s inaccessible to tourists. You don’t need to take a guided tour if you don’t want, all signs are in Spanish - but many offer a QR code that allows an app to tell you all about the history of the building. The tourist bus is quite nice, and reasonably priced at 8 euros per adult (student, children, and pensioner’s discounts available). We were not fans of the expo area as such, but it’s still nice to drive through. Regular public transport (bus, tram, regional trains) is cheap and well-organised. Zaragoza is not on the sea, and it can get quite hot in the summer. You may want to book accommodation with a swimming pool if you visit in the hottest months. However, in spring and autumn, most hotel swimming pools will not be open. The Aljaferia palace was a highlight, . The Aljaferia palace was a highlight, .. it might help to read up on the history before entering because there is so much to see. The entire area of Plaza del Pilar , with the Basilica and La Seo Catherdral. There are nice Tapas restaurants within close walking to our hotel. We just loved staying here. Jesus was the best of hosts making every effort to make us feel like welcome visitors. The studio was spacious, airy, very comfortable had all you could want. It was in a quiet square with good tapas bars within metres of the front door. The view was lovely especially at night and we loved the lift to the 3rd floor. Zaragoza is one of the nicest towns that we visited in Spain and Portugal. It's very easy to get around, has lots to see and has a very friendly feel to it. You couldn't ask for more. The location was absolutely perfect. In the middle of the beautiful Old Town, round the corner from the Basilica. Unbeatable. Also, although a little old fashioned inside the hotel is spotlessly clean. It was great value for us, staying for 3 nights as a base in Zaragoza, wanting somewhere safe, clean, central, comfortable and great value for money. I'd stay again! Location just off the motorway near to a shopping centre with a selection of restaurants (restaurant in hotel closed on a Sunday) and cheap fuel. It is dog friendly,has free wifi, good size room etc.. I always stop at this hotel on my travels between my home in France and my winter in Spain. This property was the best we stayed in during our time in Spain. Brilliant location, well-equipped, comfortable and the best host ever! Jesus really looked after us and even welcomed us with a few treats in the kitchen. We would definitely stay here again. Highly recommended. The beds were very comfortable. The hotel was very clean and quiet. The location was perfect, right in the centre of the city on a picturesque street. A pretty hotel with helpful staff who spoke fluent English. Breakfast was fine. I would definitely stay again. The location is perfect, and the room is quiet and comfortable. Very nice bed. The train and bus station are together in Zaragoza. If you are arriving my bus or train, take a cab to the hotel. and it costs about 11 euros and takes 10 minutes. Clean and cosy apartment with parking (it’s tight, but doable with a large sedan) Great recommendations from friendly staff. Apartment was well located for our one night stay in Zaragoza, only 10 mins from the amazing Basilica. Spacious, clean rooms with modern layout and decor. Staff is friendly and helpful. Ample street parking around the hotel. Next to a mall so lots of conveniences. Cafe across the street for morning coffee/breakfast. It was in the perfect location and the staff were friendly and the room was fantastic. Very quiet and clean. Highly recommend to anyone visiting Zaragoza. I have stayed at the WTC several times whilst travelling through Spain. It provides excellent accommodation at a very cost effective price. Location could not be better. Perfect place to soak in the history of Zaragoza. Excellent hotel and staff . Location, breakfast and comfort. I arrived in the middle of Fiesta de Pilar.. Lots of noise outside did not carry into the room when I closed the windows.